Love this saying! Appropriate for so many occasions and for lots of people. Perfect for that little bit of encouragement we all need from time to time. Love that Stampin' Up! have included it in a stamp set. And a set you can get for FREE. Yesterday started my weekly theme on Sale-A-Bration. This week, I will highlight lots of the FREE items you can get with an order of $90 or more. Yep FREE stuff!! The first set highlighted yesterday was Avant Garden, the next set I am going to highlight is Designer Tee. Do you notice the other Sale-A-Bration item on this card? 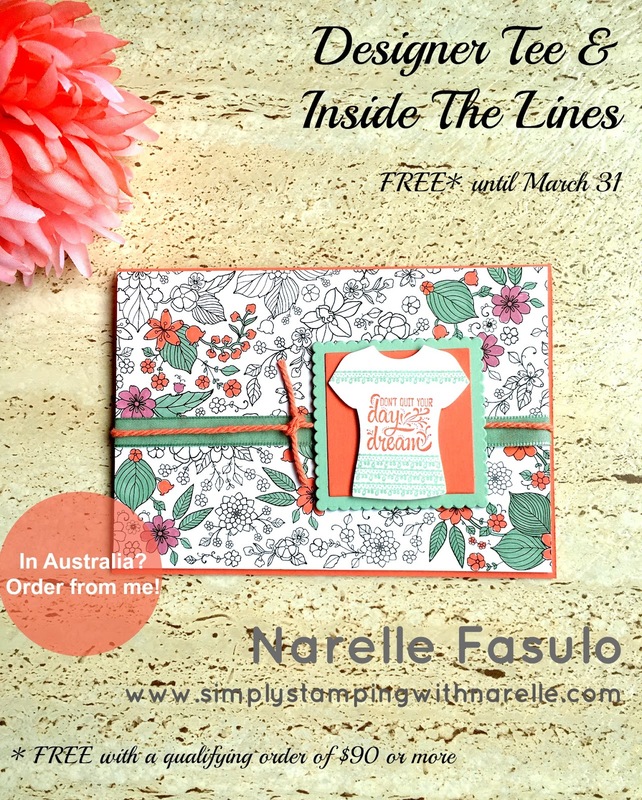 It is the Inside The Lines Designer Series Paper. Adult colouring books are a big deal at the moment, so how clever of Stampin' Up! to introduce that to paper you can use on your projects. With only 4 weeks left to get your FREE items, you had better get that order in now. 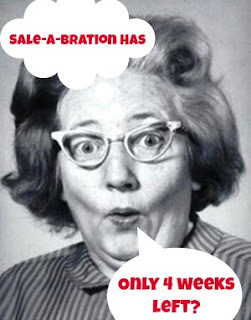 Some Sale-A-Bration items run out of stock early as they are a limited supply. I would hate to see you miss out on something you have great ideas for. Do you want a discount? Then have you considered joining? No lock in contract, no commitment, just shop for as long as you want a discount. Contact me today if you have any questions.